On October 8, 1981 at abour 11:00 A.M., Hannah Mc Roberts is with her husband and their daughter on a service area close to Kelsey Bay, on the East coast of the Vancouver Island. During their pause they notice a cloud which passes on the top of a mountainous peak and makes the impression of an erupting volcano in eruption spitting a huge vaporblast. They find the scene rather amusing and worth a picture. 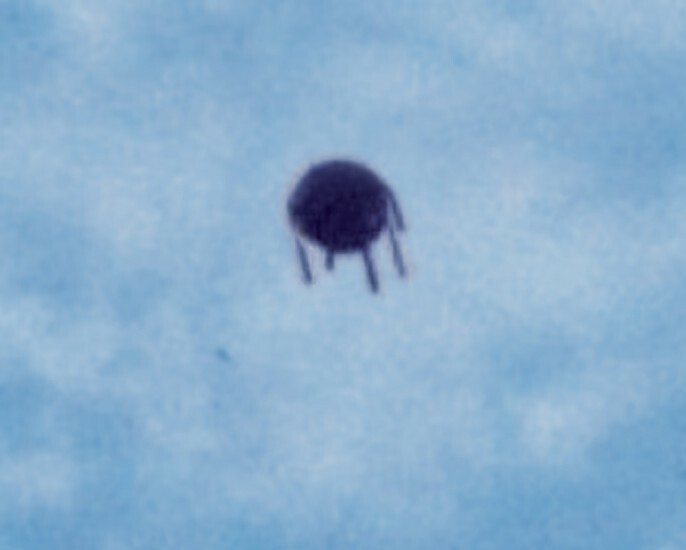 Several days afterwards, when the photographa are developed, they notice on one of the photograph that there is a discoidal object in the sky. 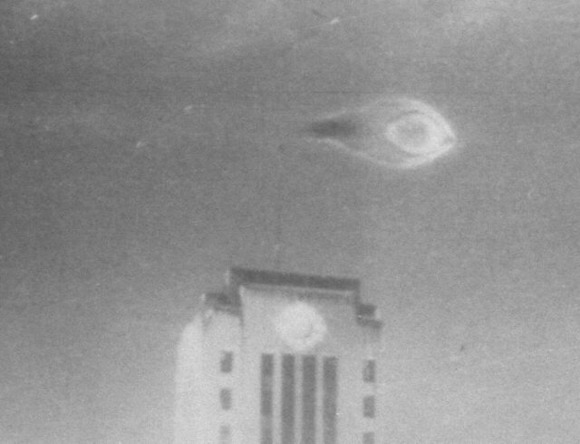 Their surprise is big, as they do not remember noticing anything in the sky at the time when they shot the photograph. They contact David Dodge, director of the of Vancouver planetarium. He examines the picture and remains disturbed by this singular photograph. He contacts a ufologist, David Powell, who analyzes the pictures and cannot find any evidence of tampering. Richard F. Haines, a retired NASA scientist who became a famous ufologist, gets interested in the Vancouver case. He carries out a thorough analysis of the negative and cannot discover any tampering either. His analysis is inserted in the scientific report of the Sturrock Panel. Science et Vie #976, January 1999. Analysis by Richard F. Haines on the web site of the Journal of Scientific Exploration. Apollo 14’s Edgar Mitchell was outspoken about his beliefs around extraterrestrial life forms. What does the Vatican know about alien life? And is there a threat of a war in space? These are among the issues that a former astronaut wanted to discuss with John Podesta, who was a top adviser to President Barack Obama and now serves as Hillary Clinton’s campaign chairman, according to new emails published Friday by WikiLeaks. The hacked emails have already drawn a great deal of attention because they contain excerpts of what appear to be Clinton’s paid speeches to Wall Street executives. But extraterrestrial enthusiasts are particularly interested in two documents that focus on UFOs, an alien presence around Earth and a belief that the Vatican has some knowledge about all of this. The emails are from Edgar Mitchell, the sixth man to walk on the moon during the Apollo 14 mission in 1971. He wrote to Podesta on Jan. 18, 2015, asking for a meeting “ASAP” to discuss government disclosure of extraterrestrial life forms and zero point energy, an alleged alien technology that Mitchell strongly believed could be used as an unlimited source of infinite free energy for our planet. At the time, Podesta was working in the Obama administration. He left soon after. After he left the space program, Mitchell founded the Institute of Noetic Sciences, dedicated to unlocking the secrets of the human mind. He was also very outspoken about his beliefs that Earth had been visited for many years by extraterrestrials, the UFO phenomenon was real and the truth about it all had been kept from the public. Mitchell likely reached out to Podesta because of Podesta’s longtime interest in UFOs and criticism of the U.S. government for holding back information on the issue. Mitchell expressed concern about a growing military presence in space and the threat of a space-based war between China, Russia and the U.S. involving anti-satellite weapons. Podesta then went on to become Hillary Clinton’s campaign chairman. It’s not clear if he ever replied to the emails, and Yahoo reports that he never met with Mitchell. The astronaut died in February 2016. Mitchell’s concerns about UFOs, ETs and zero point energy raise several questions. What was he talking about when he suggested the Vatican knew something about ETI? (In recent years, several Vatican officials have suggested that the idea of actual aliens would most likely expand, rather than diminish, religion.) And did he really think there was a threat of a war in space? Other WikiLeaks emails may contain more information from individuals who were trying to meet with Podesta to discuss various aspects of the UFO-ET connection. There are still thousands to pore through. Perhaps one of them will be the real smoking gun. No doubt there are fiscal reasons for not making a new form of "endless energy" public knowledge. Plus, you can trust that one is legit and not faked! A $100m initiative to listen for signals from alien life is targeting a star with an unusual dimming pattern. The Breakthrough Listen project, backed by Prof Stephen Hawking, will train a US radio telescope on a target called Tabby's Star. Tabby's Star has been a subject of attention and controversy over its irregular dimming pattern. Some scientists have been puzzled by large dips in the star's brightness. He added: "The Breakthrough Listen programme has the most powerful SETI equipment on the planet, and access to the largest telescopes on the planet. "We can look at it with greater sensitivity and for a wider range of signal types than any other experiment in the world." 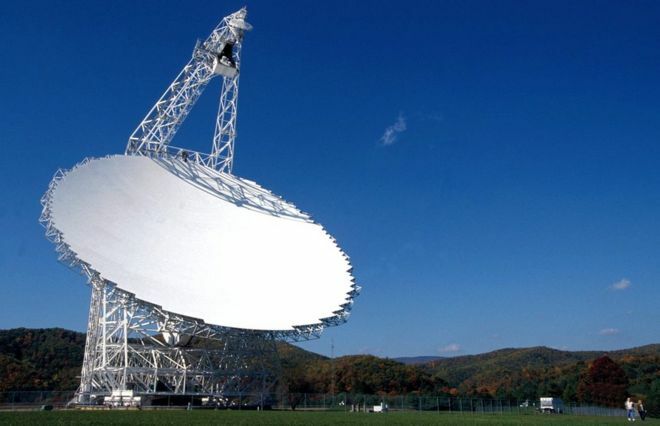 The team plans to use the 100m Green Bank Telescope in West Virginia, US, to observe the star, which is named after the leader of the team that discovered it - Tabetha Boyajian, assistant professor at Louisiana State University. But Dr Siemion explained: "The Green Bank Telescope is the largest fully steerable radio telescope on the planet, and it's the largest, most sensitive telescope that's capable of looking at Tabby's star given its position in the sky." The unusual behaviour around Tabby's star was first reported in September 2015 by Dr Boyajian, who was then a postdoctoral student at Yale University. The findings were published in the Monthly Notices of the Royal Astronomical Society. While most such dimming by transiting planets is brief, regular and blocks just 1 or 2% of the light of the star, Tabby's star dims for days at a time, by as much as 22%, and at irregular intervals. Speculation that the phenomenon could be caused by a "megastructure" built by an intelligent civilisation, has been dismissed by most scientists. But it has propelled the stellar object to prominence in the popular media. "I don't think it's very likely - a one in a billion chance or something like that - but nevertheless, we're going to check it out," said Dan Werthimer, chief scientist at Berkeley SETI, based at the University of California, Berkeley. Yet Tabby's Star remains a fascinating conundrum for astronomers. Some observations show that the dips in brightness are more irregular than a comet swarm would produce. And another study suggested that it had been dimming at a steady rate for the past century. The Breakthrough Listen initiative was launched in 2015 at an event in London. It is largely funded by Russian entrepreneur Yuri Milner - who also supports the Breakthrough Prizes for science and maths. Cause everybody in the whole outer space speaks english. September 10, 1990.....the date when the limited edition purple m&m was introduced into the range.....coincidence?